Should You Hire a Wedding Planner? Why, Yes! Of Course! Happy Friday! We made it through the week! As a wedding planner, I’ll be honest. I’ve met brides from all over the spectrum when it comes to planning for their special day. There’s the bride who says, “I have absolutely no clue what to do”, and the one who has spent hours, months, years cultivating their vision for their dream wedding. Regardless of where you fall within these two extremes, one thing is for certain. Hiring a wedding planner is single handedly the best gift you could give yourself, your spouse-to-be, and your family. Some of you might be thinking, “Is it really worth the investment?” or “What do wedding planners actually do?” I’m so thrilled you asked! From helping cultivate your dreams into realities while staying within your budget, to coordinating with vendors and keeping a tight schedule to make sure all runs well, wedding planners give you more time to sit back, relax, and enjoy your day. 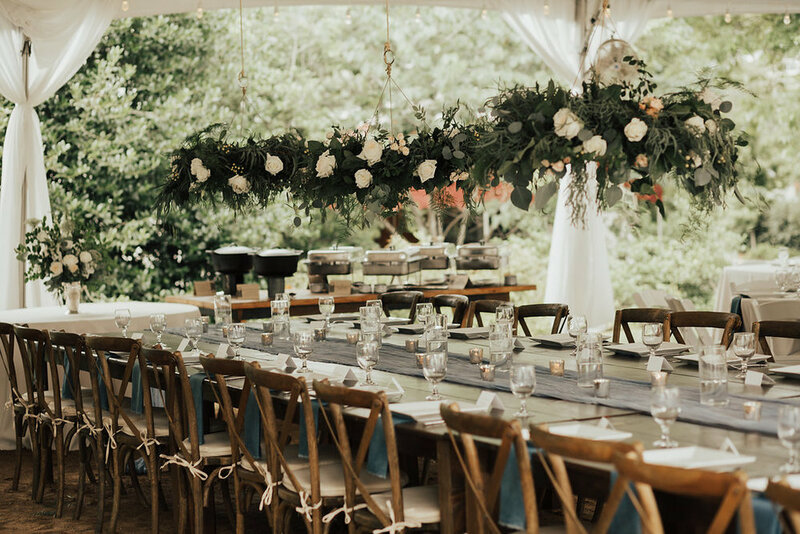 Let’s take a look at some of the top five reasons Ashley and I believe hiring a wedding planner is the gift that keeps on giving for brides and grooms alike! Chances are, if you walked into a store to buy a horse saddle (and had no experience with horses) and were asked your budget, you’d have no idea where to start. Many brides feel this overwhelming feeling too. Wedding planners goal is to take your vision and turn it into a reality. You want your day to be one everyone will remember, right? Every fine detail matters. By hiring a wedding planner, you are trusting your vision to a professional, thus giving you more time to practice those vows or schedule those hair appointments! Show us those pinterest boards and instagram saves- let’s see what we can do! 3. Planners & Vendors: The Dream Team. Wedding planners have the distinct privilege of working with wedding vendors every single day. Because of this, we have special relationships and bonds with the people who will help to make your wedding an event to remember. We know the questions to ask. We know where to go based on your budget, style, and expectations. And the good part? They trust us too. 4. They Coordinate Your Entire Day. You should be ever-present on your wedding day! After all, this is the day you are professing to the world your love for your partner, soulmate, friend. No bride- or groom- should have to worry about the small details nor the preparation. Leave that to your new best friend: your wedding planner. There’s nothing we enjoy more than getting to see a couple enjoy cocktails, cake, photographic moments, and loving conversation free of worry and stress! 5. We are the Professionals. At the end of the day, with every decision we make, we yield to the professionals. We trust cooks to prepare our meals and our cosmetologists to be honest about our proposed new hairstyle. Why not trust a wedding professional experienced in planning to make your dream a reality? I’d love to hear from you about your wedding planner experience! If you’re interested in learning more about how you could benefit from Whitewood’s wedding planning services, connect with me through email or social media today! A real Georgia wedding, featured in Southern Weddings, Wenjie and Futhum stated their vows in front of their families who came from far and wide to witness their love for one another. Taking place at The Fernbank Museum of Natural History in Atlanta, Georgia, both Wenjie's Chinese heritage and Futhum's Eritrean could be seen in the details. While they opted for a more modern Westernized ceremony and reception, featuring culturally valuable colors and design choices, their love for each other and from their families crossed all barriers. Being a part of the entire planning process and design was absolutely a joy for us, and we wish them a very happy One Year Anniversary month! We love you two, and we wish you many many more years of adventure, laughter, growth, and love. Today we get to share a very fun project, featured in Wedding Sparrow this morning! Bringing to life a vision for a creative project is the most fun, you guys! Curating all of the details, to suit this Photography Workshop, hosted by Noi Tran, was every bit what you think of when you see or hear 'collaboration', and we enjoyed it to the fullest. Thank you Angelina, for trusting me with completing your vision. We can't wait to see and share your finished product, but until then, here are some of our first picks from Noi Tran. Cheers to Friday!